Rare opportunity to own the "Sale Barn" property in Belle Plaine. Operating since 1957, weekly auctions still held. Working restaurant on premises; 10,000 lb livestock/scale/permits/barn; silo; office space; concrete/asphalt on a good share of property. Price Notes: 2014 Estimated market value. This 20 acre property is platted as an outlot and is located in the Industrial/Commercial zoning district allowing flexibility for future uses. Streets and utilities are in and ready for your development! The property is easily divisible and would need to be re-platted prior to obtaining a building permit. Nearby successful businesses include; Coborn's Grocery Store, Coborn's Liquor, Little Dukes, Cambria, Matt Saxe Chevrolet, McDonald's, Verizon, Great Clips, and Domino's Pizza. Available, not stubbed into property yet. 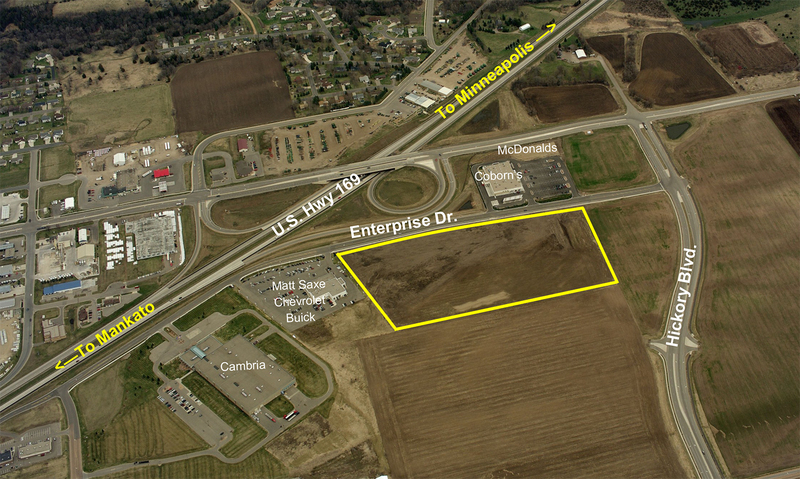 9.65 Aces Highway Commercial, frontage on Commerce Drive West. Excellent visibility. Additional 10.92 Acres available.